College towns are great for more than just the time while you are in school. Many of them have a thriving economy and culture that make them perfect for a long-term commitment to the area. After you are done with your time on campus what factors become more important? Things like community, neighborhoods, schools, these important aspects become pivotal when choosing a place to reside. There are many cities and towns across the country that strive to retain their alumni, here is our list. Troy is a small city in south Alabama and is the home of Troy University. The area has a great mix of opportunity for college graduates with great options for employment such as Lockheed Martin military contractors, Sikorsky helicopter manufacturers, and the Walmart distribution center only ten miles away. Troy is also conveniently located about halfway between Dothan and Montgomery. The city is also located near the Fort Rucker army post. Troy has a great small town atmosphere with plenty of suburban charm. Southern hospitality is a main fixture in this community with great local restaurants and museum attractions. Troy University is well known for its education and nursing programs. The school also has great athletic and arts departments. It is also ranked as a top university in the south. Wellesley is a charming New England town where the famous Wellesley College. Wellesley College is a privately funded women’s college that was part of the former seven sisters association of colleges. The school was featured in the movie Mona Lisa Smile, which starred Julia Roberts. The college is known for programs in the liberal arts. The city itself has a beautiful historic district with homes that date back to the 1860s. There are a couple large businesses in the area that welcome new college graduates including Sun Life Financial and Harvard Pilgrim Health Care. Wellesley is also host to the Wellesley Symphony Orchestra and the Massachusetts Horticulture Society. The streets of Wellesley are that of a quintessential New England town. Wellesley is also just short 30 minute commute from Boston. Columbus is the location of Mississippi University for Women and is the epitome of southern living. Columbus is a medium-sized city with a thriving cultural base. 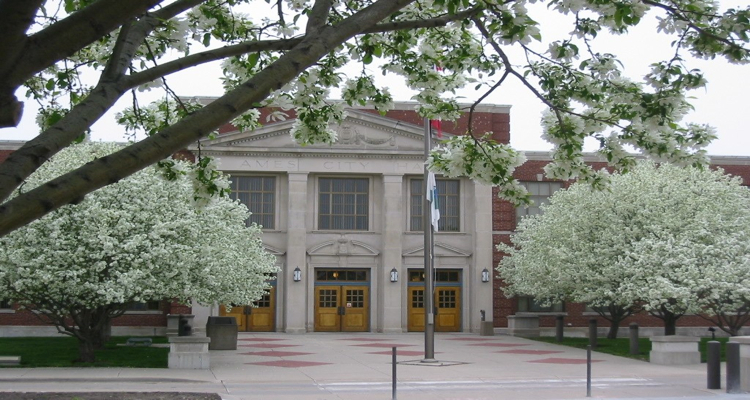 The city is home to the Columbus Arts council which provides the town with the Columbus Community Theater, arts and crafts classes, and an art gallery. Major employers in Columbus that welcome college graduates include the Columbus Air Force base and the Baptist Memorial Hospital. Mississippi University for Women, more commonly known as the “W”, was historically a women’s college, but it began admitting men in the 1970s. The university is famous for being the college of renowned southern author Eudora Welty. The school is known for programs in nursing, culinary arts, education, and theater. 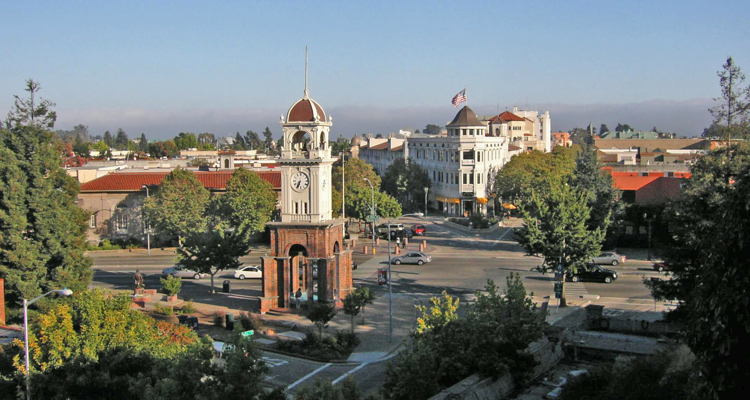 Berkeley, California is nestled along the eastern shore of the San Francisco bay. Berkeley may in fact be the most liberal city in the United States. The city was the first in the nation to recognize bisexuality with a city-wide recognition of Celebrate Bisexuality Day. The city is also one of the most racially diverse with more than half of the population being a minority race. 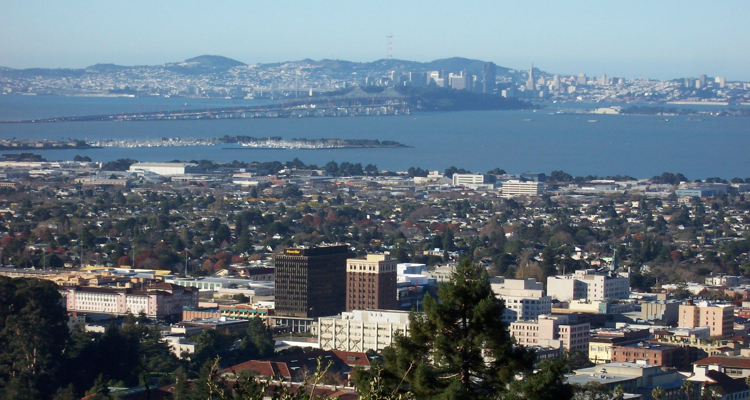 Major employers in the city include the Lawrence Berkeley National Laboratory, which is a United States Department of Energy national laboratory, and the Bayer pharmaceuticals company laboratory. UC Berkeley was the first college in the University of California system. It is also ranked as the top public school in the nation and the third best engineering school by the US News and World Report. UC Berkeley also has top ranked programs in business, education, law, and the sciences. 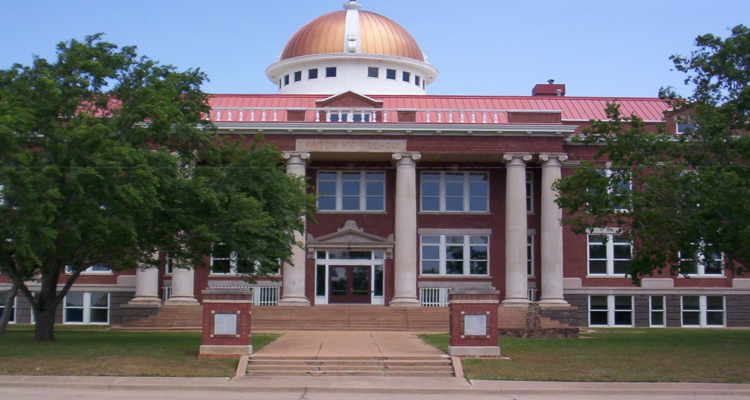 Lawton is located just 30 minutes from the Texas state line and is the home of Cameron University. The city of Lawton plays host to the Wichita Mountains Wildlife Refuge where visitors can see wild buffalo, prairie dogs, and deer. Lawton has plethora of Native American influence which is evident in the layout of the city and several museums in the area. 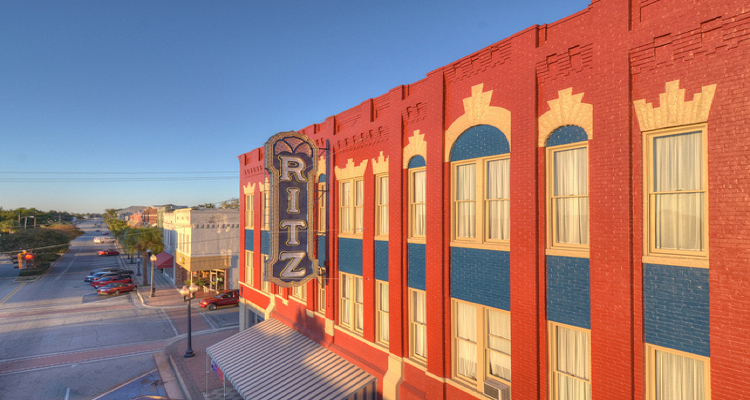 There is plenty of shopping in Lawton as well as a large variety of restaurants. The town in only about an hour and a half from Oklahoma City and two hours from Tulsa. The city is also located right next to Fort Sill Army base, home of the field artillery. Employers in the area that recruit college graduates are Goodyear Tire and Rubber Company and Assurant, Inc. insurance products. Cameron University is the only college in Oklahoma that offers associate, bachelor, and master degrees at the same campus. CU began as an agricultural college and still offers a superior program in agricultural sciences. In addition Cameron is known for programs in technology, liberal arts, and education. Vermillion is located in the southeastern corner of South Dakota, and is the location of the University of South Dakota. 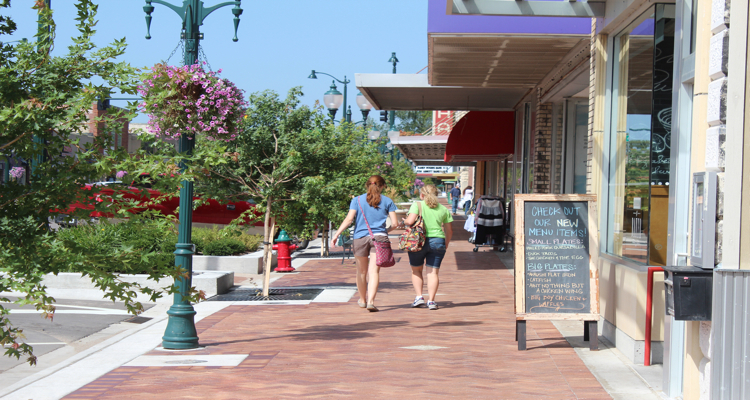 As the tenth largest city in the state, Vermillion offers a great small town atmosphere with a metropolitan feel. The city is rich in historical treasures including the National Music Museum on the USD campus. Vermillion houses a gorgeous 34-acre park on the banks of the Missouri River where visitors can walk the three mile trail and go camping. USD is a division 1 athletics school that is part of the NCAA. In fact, the men’s track and field team secured the 2014 Summit League Championship. USD is known for programs in psychology, political science, biology, and art. Brunswick is a beautiful coastal city, and the home of the College of Coastal Georgia. Brunswick is a larger city, but thanks to its coastal location has a very resort-like feel. The city is located just minutes from St. Simons Island and Jekyll Island, both part of the Georgia barrier islands. In Brunswick, there is plenty to do including a great arts alliance and community theater program. First Fridays are a tradition in downtown Brunswick where shops and restaurants have open houses with food samples and live entertainment. The city is located halfway between Savannah, Georgia and Jacksonville, Florid, about an hour from each. Major employers in the area are the Federal Law Enforcement Training Center and the Southeast Georgia Health System. The College of Coastal Georgia only recently became a four-year college, having been converted from a two-year community college. Due to the local geography of saltmarshes and pristine beaches, CCGA offers a fantastic Coastal Ecology baccalaureate program. Other great programs at CCGA include biology, nursing, education, and business. 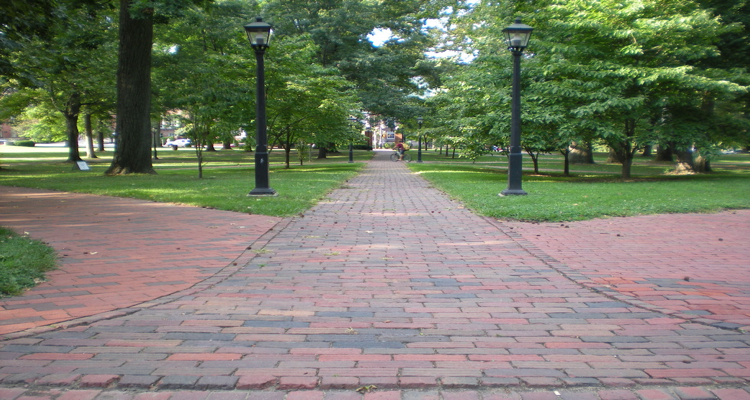 Williamsburg is a great place to live no matter what kind of lifestyle you prefer, and is the home to the College of William and Mary. Williamsburg served as the capitol of Virginia in the 1700s and is rich in colonial history. The Revolutionary City is a historical attraction built as a working colonial town. Also located in Williamsburg is one of the Busch Gardens theme parks. 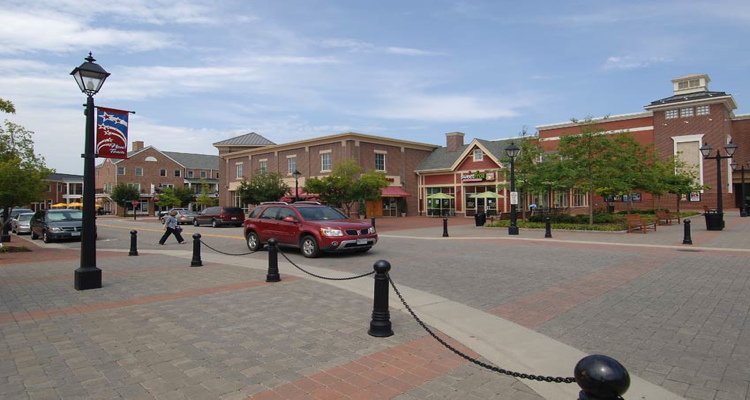 Major employers in Williamsburg include the Colonial Williamsburg foundation as well as several major hotels and private resorts. The College of William and Mary is the second oldest college in the nation, and it is one of only eight public Ivy League colleges in the United States. Not surprisingly, the college offers one of the very best history programs in the country. 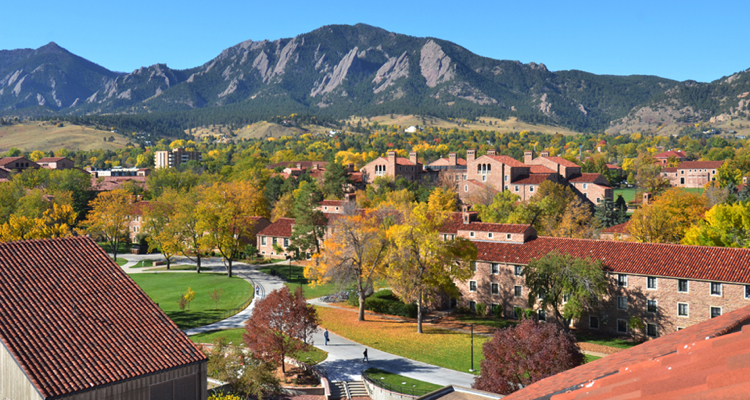 Not only is Boulder celebrated for its beautiful mountain views, it’s also the site of the University of Colorado. Boulder is one of the most liberal cities in the west, being a popular hippie destination in the 1960s. The city is also a favorite among nature enthusiasts and outdoors activists who enjoy the Rocky Mountains and Great Plains areas. 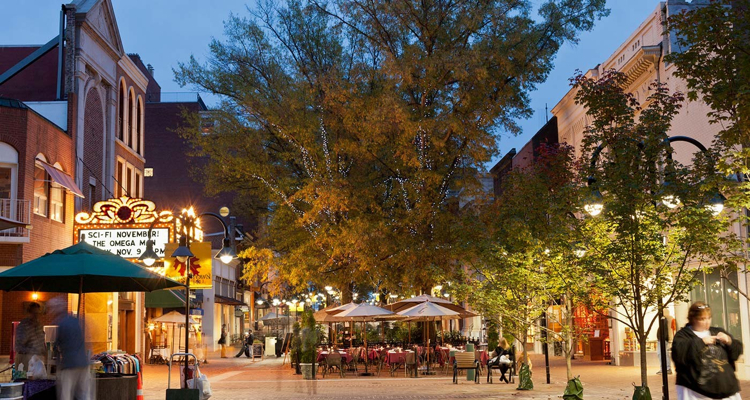 The Pearl Street Mall is the social center of Boulder with several restaurants and specialty shops as well as major department stores. Major employers in Boulder include the IBM Corporation and Lockheed Martin. The University of Colorado is home to the Colorado Shakespeare Festival and the Hill District, with various shops and entertainment attractions. The school is best known for its programs in business and engineering. 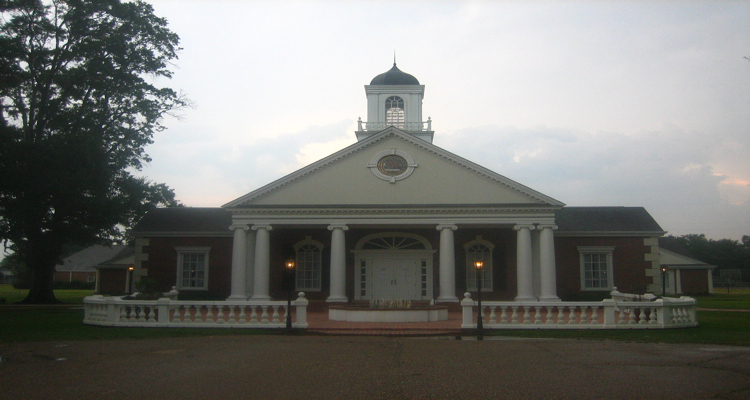 Monroe is located in the central northern part of Louisiana and is the location of the University of Louisiana in Monroe. It is located about halfway between Meridian and Shreveport, Louisiana. Monroe contains the beautiful Louisiana Purchase Gardens and Zoo, which is the home of over 500 animals. It also has several museums, including the Northeast Louisiana Children’s Museum. Monroe’s major employers include Chase financial systems and CenturyLink communication’s company. The University of Louisiana in Monroe has an exceptional athletic department with championship teams in the Sunbelt Conference. Student life organizations include the Greek system and spirit clubs. Notable programs at the university include pharmacy school and business. Charlottesville is a gorgeous town with picturesque vineyards and rolling hills, and it is the site of the University of Virginia. On the outskirts of the city lies the plantation of Monticello, the home of Thomas Jefferson. In fact, it was Thomas Jefferson who designed the city of Charlottesville. The city supports several art galleries and an open-air pavilion that attracts plenty of star entertainers. Major employers in the area are the University of Virginia Medical Center and the Pharmaceutical Research Association. The University of Virginia is ranked as the second best public university in the nation by the US News and World Report. Every year the theater program hosts a Heritage Theater Festival. The university is known for programs in business, law, and medicine. Disney World is not the only thing in the state of Florida. Gainesville Florida is the place that hold the 8th largest campus in the country, based off of enrollment. It is also the home to Sante Fe college. Gainesville has even more to offer besides its strong educational value. This Florida college town is where the popular sports drink Gatorade was originally invented. It was made for the sports players of the University. since 1982 Gainesville has been named as a Tree city, USA by the National Arbor Day Foundation. In 2007, this beautiful college town was ranked the number one place to live, in all of North America. 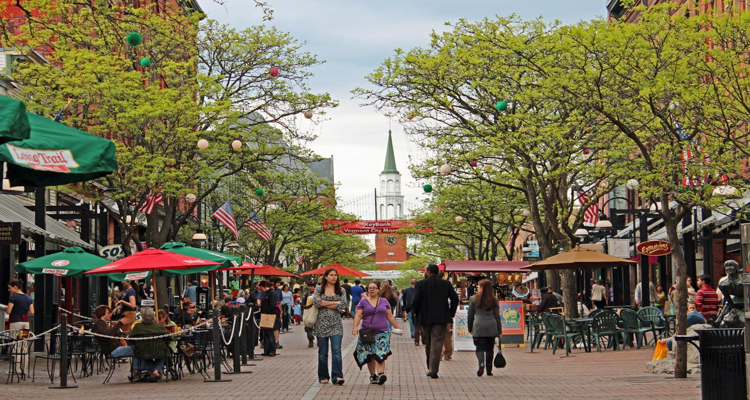 Burlington is home to Ben and Jerry’s Ice Cream and the University of Vermont. Burlington is the largest city in Vermont, and it houses a number of famous landmarks, such as the Emily Post Institute. The band Phish also originated in Burlington. The city is located on the beautiful Lake Champlain and much of the city is a resort area. Potential employer for college graduates include General Electric and Fletcher Allen Healthcare. The University of Vermont boasts one of the highest job placement rates in the country with 85% of graduates finding jobs in their field of study. In addition, as one of the oldest colleges in New England, UVM offers a historical experience unlike any other. The university is well known for programs in education, psychology, and physical therapy. Long Beach is one of the most beautiful cities on the west coast, and it is the location of the California State University in Long Beach. The city is one of the most culturally diverse in the country with a large Asian and Hispanic demographic. Long Beach plays host to several music and theater festivals throughout the year. Potential employers for college grads are Boeing airplane manufacturers and the United States Postal Service. 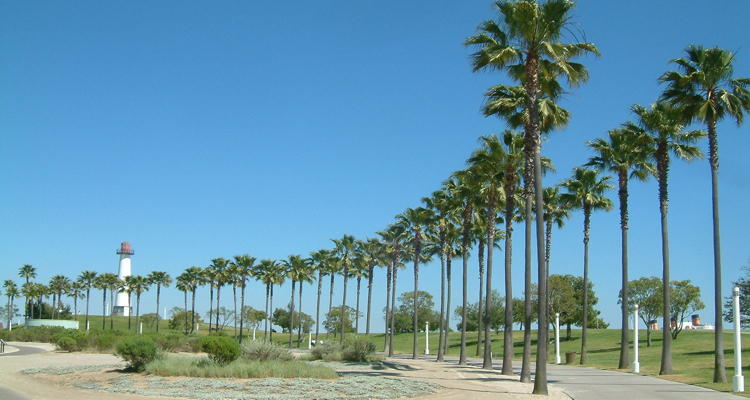 California State University in Long Beach is the second largest university in the CSU system. It is also the 5th most ethnically diverse university in the country. The best academic programs at Long Beach State are business, engineering, and nursing. 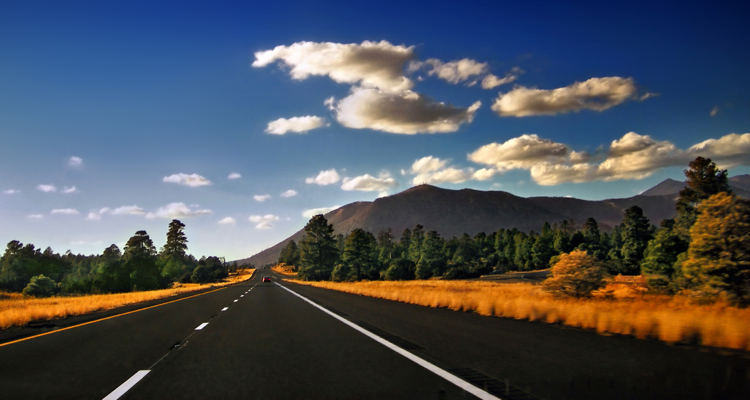 Flagstaff is not only one of the most family friendly communities in the country, it is also the site of Northern Arizona University. The city was voted the number 5 best spot for family vacations by Travel and Leisure Magazine thanks to its kid-friendly atmosphere. Activities for kids involve everything from foreign language classes to drama camp. In addition, Flagstaff is known for having the most incredible view of the night sky, and there’s no better place for stargazing than the Lowell Observatory. Among the largest employers in the area are the Flagstaff Medical Center and the Walgreens Distribution Center. Northern Arizona University has one of the fastest growing student populations in the state. It is also currently expanding its online program into one of the best in the country. The university is best known for programs in the health sciences and education. 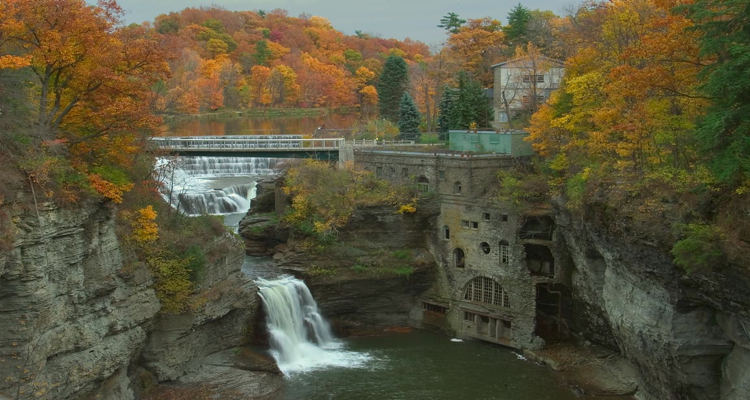 Ithaca has one of the most beautiful landscapes in the country and well as its very own Ivy League college, Cornell University. More than a hundred gorges and waterfalls lie in the outskirts of Ithaca, and the town is also known for amazing wineries. The wine trail includes fifteen different wineries, a few distilleries, and a mead plant. If you like a laid back area, then it doesn’t get any better than Ithaca. Notable employers in the area are Borg-Warner Automotive and the Ithaca City School District. Cornell University is ranked in the top 20 colleges in the country. The school is the most educationally varied of the Ivy League colleges with over 93 different academic programs. The most prestigious programs at Cornell include business, engineering, law, computer science, medicine, and English. 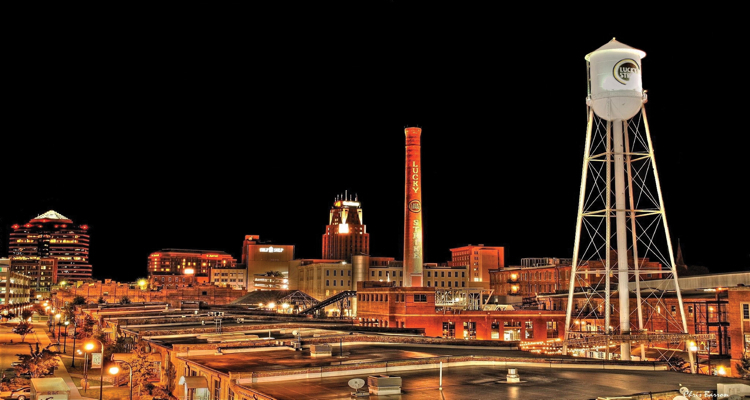 Durham is the perfect mix of city and history and also the home of Duke University. Civil Rights have a big meaning in Durham, with its rich history of sit-ins and protests during the 1950s and 1960s, even warranting a visit from Martin Luther King, Jr. Today, the city has a thriving economy and a definitive support for the arts. Durham holds several music, dance, art, and film festivals at different times during the year. Careers can be launched in Durham with IBM and the United States Environmental Protection Agency Research Center. Duke University is something of an amalgam in the Ivy League system. Not only does it rank among the top ten universities in the country, its sports teams also rank in the top of division one athletics. The best programs at Duke include environmental law, medicine, and clinical psychology. Photo Credit: Ninthstreet03 Courtesy Durham Convention and Visitors Bureau. 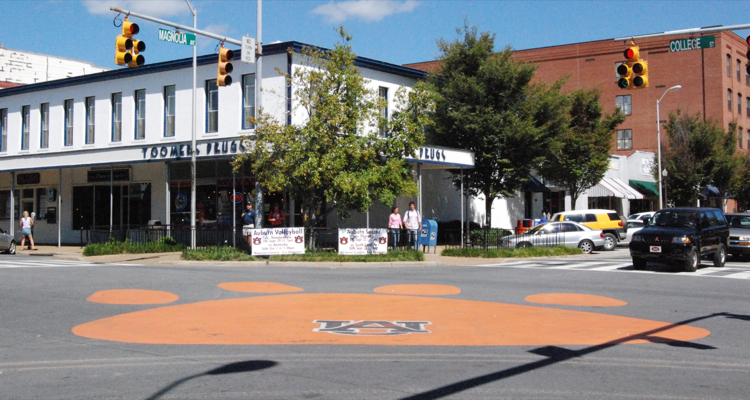 Auburn is truly a college town with the largest university in the state, Auburn University. The city thrives on student interaction, with art museums, theater venues, and film festivals all housed on the Auburn campus. Downtown there used to be some beautiful live oak trees on a corner known nationally as Toomer’s Corner. Auburn fans would gather after games to roll the trees in toilet paper. Auburn is also host to national companies like the Walmart Distribution Center and the East Alabama Medical Center. Auburn University’s football team has been in the national championships twice in recent years, with one national title. The school also ranks among the top 100 schools in the country. The best programs at Auburn are in engineering, pharmacy, and counseling. Savannah is one of the most famous and beautiful cities in the South as well as the home of several colleges, most notably the Savannah College of Art and Design. The city of Savannah lies on the central east coast of Georgia, very near Tybee Island. 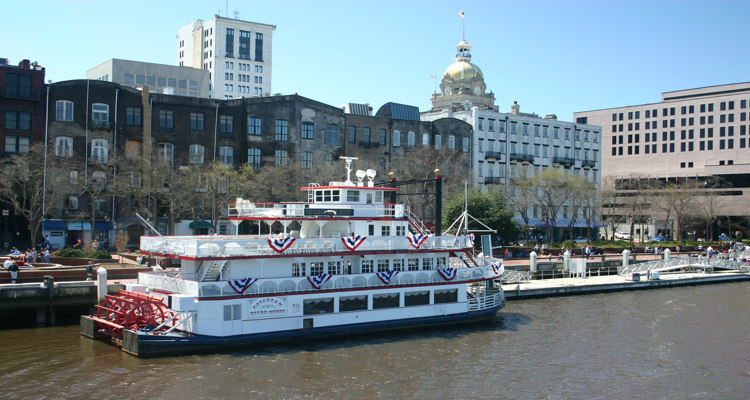 Savannah is known for the beautiful historic district and the Forsyth Park area. 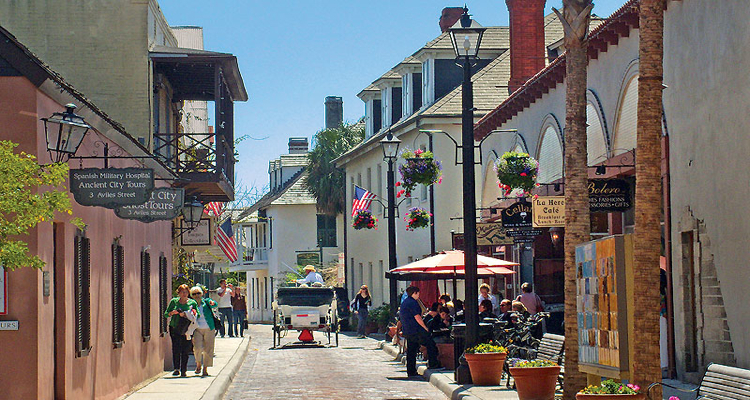 Savannah also has wonderful boutique shopping and local restaurants. Employers in Savannah that employ college graduates include Hunter Army Airfield and the Georgia Ports Authority. The Savannah College of Art and Design is one of the premier schools in the country for the arts. The campus is sprawled throughout downtown Savannah. A degree from SCAD is highly respected in the arts community. 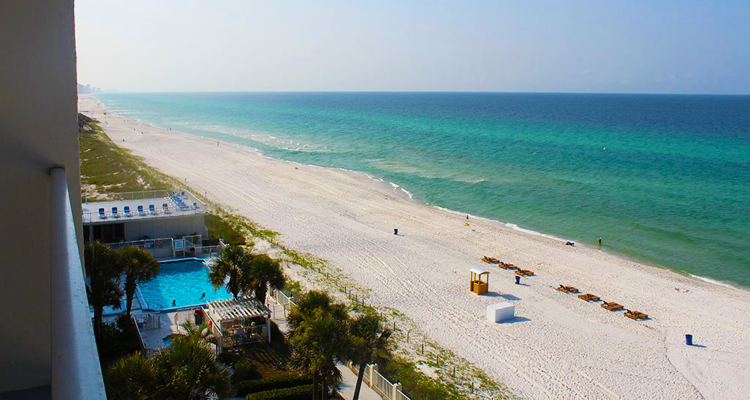 Panama City is located right on the Florida panhandle and overlooking the Gulf of Mexico. The city is also the site of Gulf Coast State College. Panama City is a popular destination for Spring Break thanks to gorgeous beaches and a thriving nightlife. In addition, PC has amazing shopping and restaurant locations such as the Pier Park complex, which houses Jimmy Buffet’s Margaritaville, several specialty shops, and even a small theme park. Employment in the area includes Tyndall Air Force Base and the BookIt.com travel agency. Gulf Coast State College has just recently expanded its programs to include bachelor degrees. The college also boasts a high job placement rate in premier programs like nursing and organizational management. East Lansing, MI is the location of Michigan State University just east of the capital city. 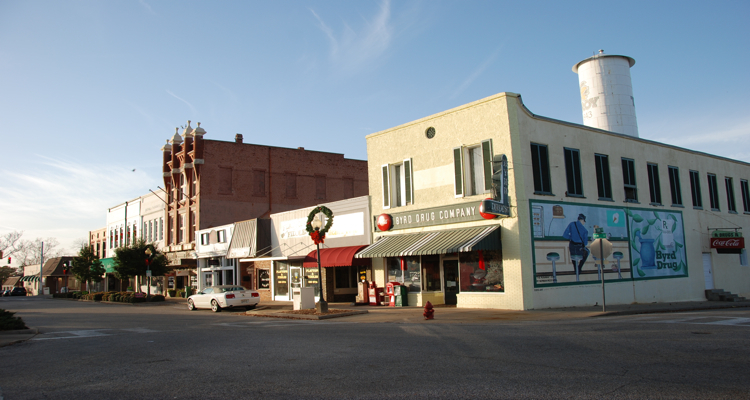 The city has a population of around 48,000 people, making it a fairly small college town. Grand River Avenue in downtown East Lansing runs right down the middle of the city and is beautifully lined with trees. This main downtown street is where all the town goes to have a good time, visiting the bookstores, restaurants, bars, and coffee shops. 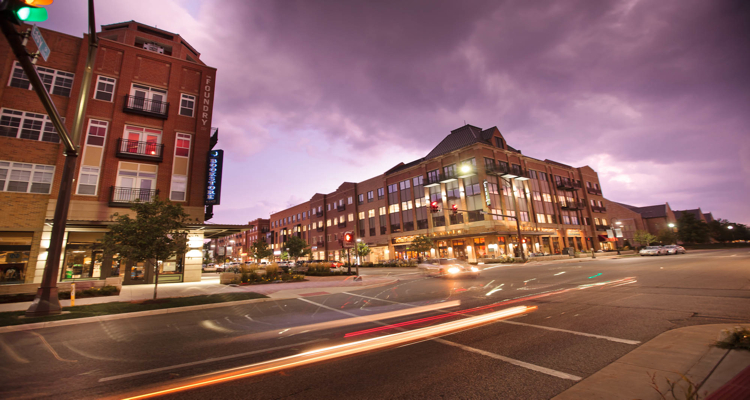 East Lansing is a nice little town for college students or families who enjoy the college life. 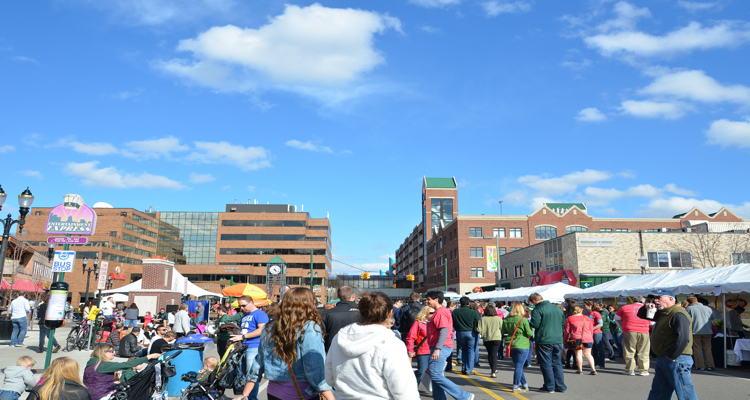 The town hosts several arts and music festivals throughout the year and enjoys cheering on their favorite sports’ teams, of course, the MSU Spartans. Its proximity to larger towns including the capital city make it a really great place to live and enjoy small-town community life while still having access to larger cities. Eugene is nestled in the heart of the wine country as well as being the home of the University of Oregon. 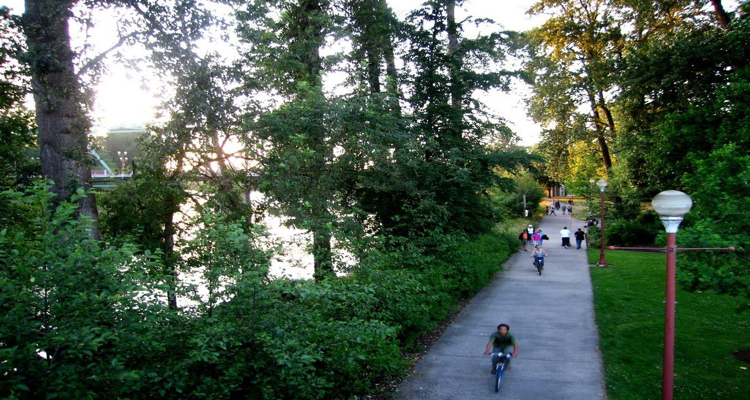 The city has gorgeous wine trails to bike through as well a great history in track and field. In fact, Eugene is where the Nike Company originated. Another reason that Oregon makes a popular choice is the fact that there is no state sales tax. Major employers in the area are the PeaceHealth Medical Group and the United States Government. The University of Oregon hosts the Oregon Bach festival every year, which celebrates classical music. The school also hosts several research institutes. Major programs at the school are education and psychology. 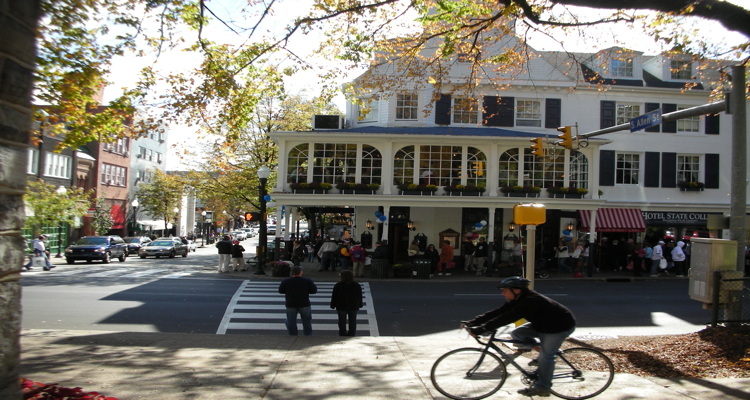 State College is a popular college town that encompasses Pennsylvania State University. The whole area around Penn State, including State college, is sometimes referred to as “Happy Valley”. 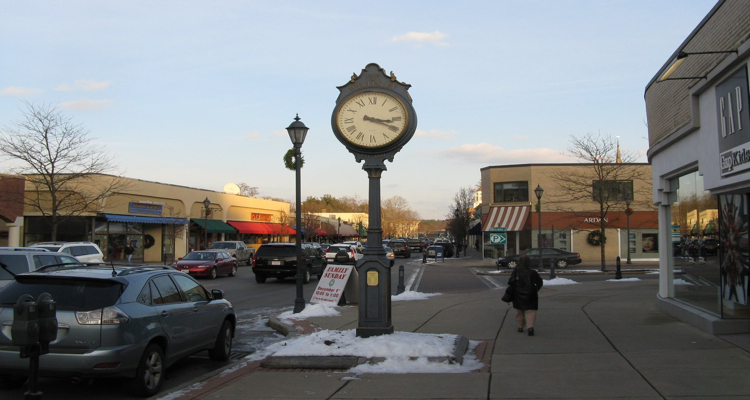 This small family friendly town has multiple notches on its belt, such as the fact that in 2010, State college was rated as the 3rd safest metropolitan area in the entire United States and in 2013, It was also rated the best college town town in the U.S. State college, Pennsylvania has plenty of opportunities of employment for undergraduate and graduate students alike. Deep amid the Ozarks lies the third largest city in all of Arkansas; Fayetteville. Since the year of 1871, Fayetteville has claimed the University of Arkansas. In the year of 2010, Fayetteville was rated as one of the best places to retire in. Fayetteville is also the home to the Walmart corporation, which holds the Walmart Shareholders meeting every year in its Bud Walton Arena. 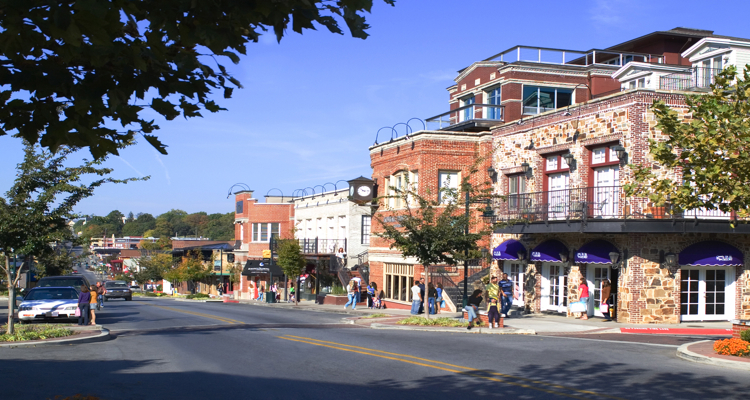 After the recession, it was recorded that Fayetteville was the second best area to be able to recover. This was mainly due to the presence of the Walmart Corporation. Also, in comparison to the average across the nation, Fayetteville has an extremely low unemployment rate of only 5 percent. Manhattan is a serious college town and the site of Kansas State University. The city is known locally as “The Little Apple” thanks to its name association with Manhattan, New York. Manhattan is full of bars and restaurants that are popular among residents and college students. It is also located adjacent to Fort Riley army post which employees over 3500 civilian personnel.Kansas State is the one of the largest college campuses in Kansas with a wealth of student life activities. The campus employees over 6,000 Manhattanites on its own. KSU is also one of the largest research universities in the country. The best degree programs at K-State include engineering and business. 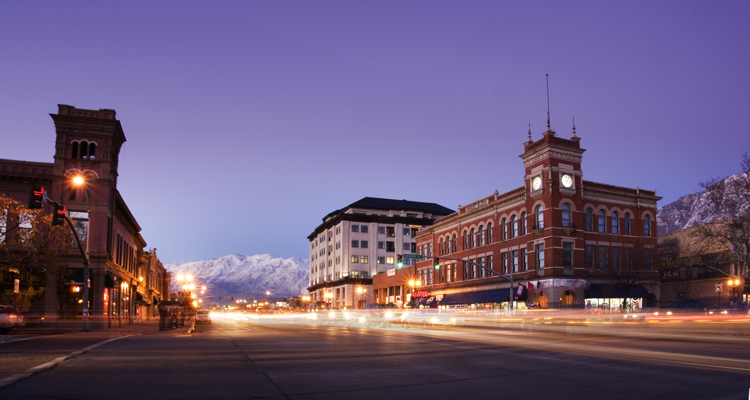 Logan is a picturesque city located in Utah at the foot of an expanse of the magnificent Rocky Mountain Range. Beside the glorious view, the town boasts 40 miles of community parks and the 18 mile long Bear Lake. You can fish, hike, bike, ski, golfing or visit one of Utah’s wonderful zoos any day of the week. Logan is also home to Utah State University. USU offers excellent curriculars and extracurriculars for their students. Accredited undergraduate research, division one athletics, and more than 200 clubs and organizations are just brushing the surface of what USU can offer anyone venturing to make this city their beautiful home for the rest of their lives. 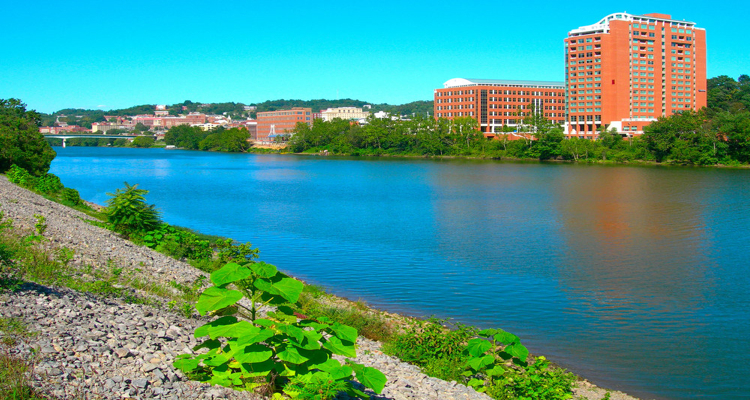 Morgantown is a unsuspected gem of a city in West Virginia located along the glorious Monongahela River. Only a short drive from the Pennsylvania border, Morgantown continues to grow with businesses of retail, research, and manufacturing popping up every day. There is no telling what great things are in the future for this industrious city. Morgantown is also the home of West Virginia University. WVU is the largest university in the state and offers excellent opportunity for success with its extensive research department which is available for both undergraduate and graduate programs alike. With division one athletics and other extracurriculars offered, this college town is sure to keep you busy when the work day ends. Asheville is the largest city in western North Carolina with a populations estimated to be 83,000+, making this a city that is always moving! Weather is always bearable, ranging on average 78 degrees Fahrenheit in the summer and high 30’s in the winter. Surrounding this beautiful town in all directions are numerous lakes, mountain ranges, and opportunity for fun! Asheville is also home to University of North Carolina at Asheville. UNCA is well known for its comprehensive liberal arts program, offering for you a choice of 30 different majors. Athletic events are always a buzz on campus; from baseball to swimming, it is never a dull moment here in Asheville. 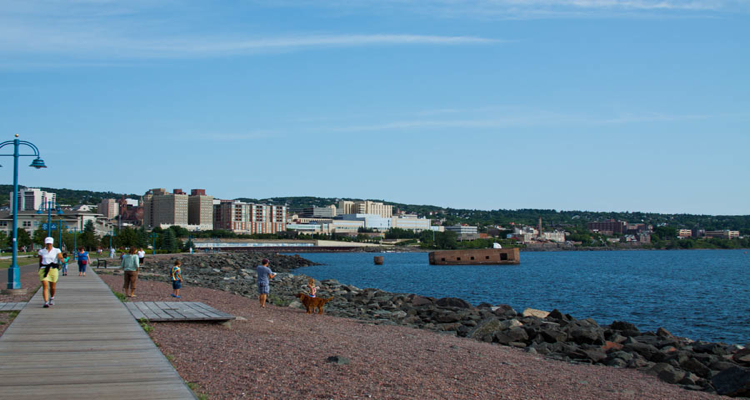 Duluth is a charming city in Minnesota, located alongside one the largest lakes in the country, Lake Superior. Miles and miles of trails offer outdoor activities in all weather including hiking, biking, skiing, and snowmobiling. Duluth is home to the University of Minnesota Duluth. While this branch campus is not as large as the main one, UMD still offers intensive curricular activities ranging from Psychology to Philosophy and extracurriculars in Greek life, clubs, organizations, and intramural athletics. There is an excellent opportunity of undergraduate research here on this campus. With grants being handed out daily and extensive collaborations with research facilities in the area, there is no telling where this city can take you! California baby! Santa Cruz is a warm and sunny city bordered by the magnificent Pacific Ocean and two of California’s own picturesque state parks, this city has so much to offer! In the morning you could be in awe of the tremendous redwood trees and at night you could be eating a lobster staring out at the ocean. Santa Cruz is also home to the University of California, Santa Cruz. UCSC is ranked number 1 in the world for research influence offering both undergraduate and graduate level research opportunities for its students and faculty. USCS offers division 3 collegiate athletics ranging from women’s basketball to men’s diving. This city is the perfect combination for those who want the best of both worlds. The city of Ann Arbor is located in the northern state of Michigan and is home to the University of Michigan. It’s a small little college town rich in culture. The university itself offers a superb education but the town has much more to offer. Ann Arbor’s natural setting gives it unique charm, with its abundance of trees and outdoor activities for families. The city is home to several art galleries, museums, quaint bookstores, and hundreds of restaurants. It has everything you need – natural beauty, city life, and fun outdoor activities. The town is also home to the most educated people in the United States, many of them alumni of the University of Michigan. Ann Arbor is rich in education, art, and fun, making it one of those cities you just won’t want to leave. 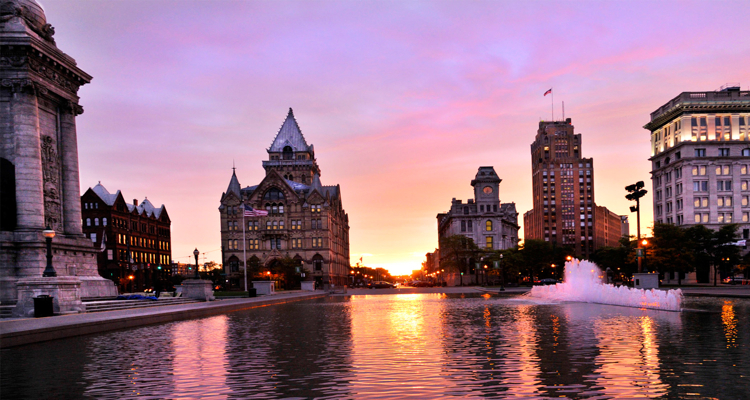 Syracuse, NY is home to two research universities, Syracuse University and Upstate Medical University. The city is known for its snowfall, being one of the cities with the most snowfall in the country. Its record so far is 192 inches of snow! Syracuse also has a large performing arts community, with the Syracuse Symphony Orchestra, an opera house, and multiple theatres. There are plenty of things to do with natural lakes to visit and more trees than any New York city. Most importantly, Syracuse has affordable housing divided into family-friendly neighborhoods. 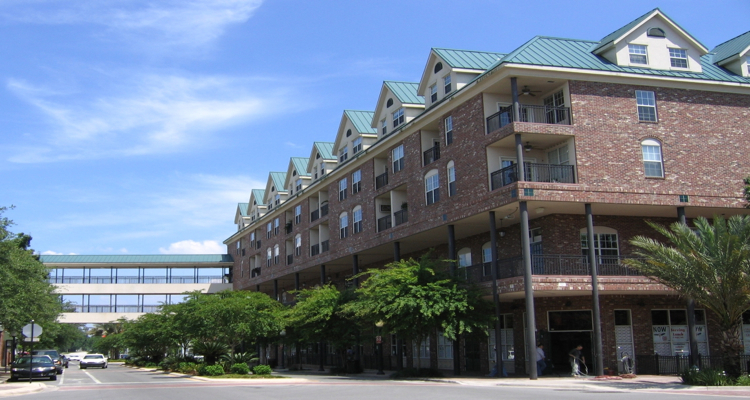 University Hill is the most popular neighborhood and is the major business district as well as educational district in the city. This little town is in the perfect location for quiet living yet plenty of fun activities for a family to enjoy. 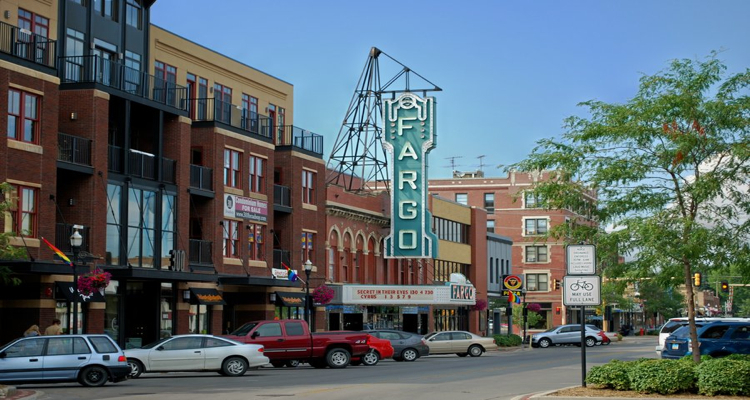 The college town of Fargo, ND is actually the largest city in North Dakota! It is home to North Dakota State University, originally an agricultural university that has now developed into a major research university. Fargo is a great place to live because of its low unemployment rate, affordable housing, and low crime. The university contributes to the town’s art life, with plays and theatre companies as well as art museums and a public library. 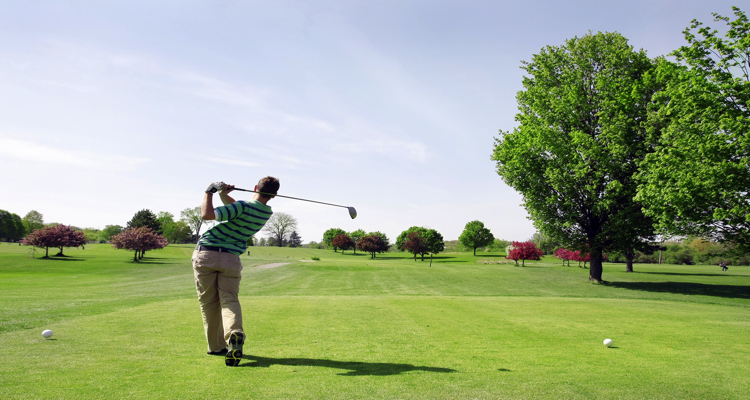 Recreational events include several golf courses and skiing in the winter. Don’t forget the kids: Fargo also has a zoo spanning 30 acres, a carousel, a horse park, and an outdoor skating park. Athens, GA is home to the state’s first state university, the University of Georgia, founded in 1785. This small college town has an excellent cultural community with arts, theatre, and music. The city hosts an annual summer Arts Festival and is home to several nationally recognized artists, including Brantley Gilbert and R.E.M. Many Pulitzer Prize winners have come out of Athens as well as famous actors. The city is called “Live Music Central” for its many music venues and music focus. Another plus – living in Athens is reasonable with the average rent lower than the national average. 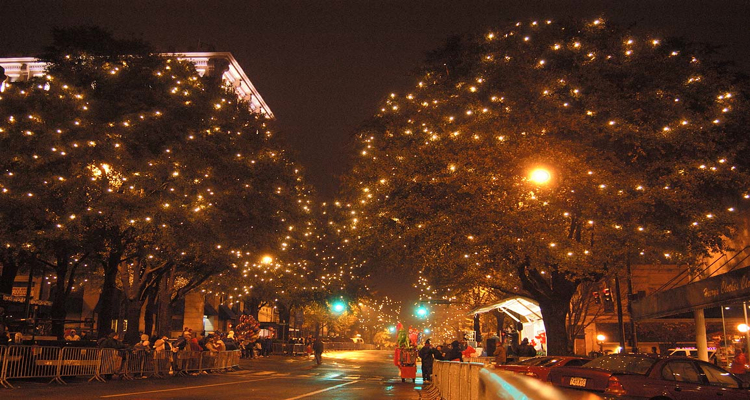 If you like small towns and enjoy music, Athens, GA is a great little spot to call home. Madison is the capital city of the state of Wisconsin and the second largest in the state. The city is historically significant in that it became home to the Union Army during the Civil War as a center for wounded soldiers and training camp. Now, those sites are part of the university. The city itself is situated between four lakes, giving it a very naturally beautiful backdrop. 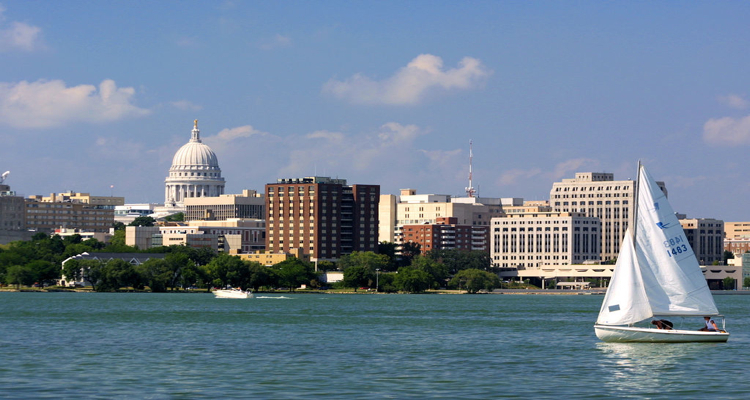 Madison is a great location to find intellectual stimulation and start a career; of all the cities in the state, Madison has been the least affected by the recession and has seen continued economic growth. Along with restaurants, shops, a farmer’s market and the growing business district, Madison is another great college town to make home. Provo, Utah is home to the private Christian college and also the third largest private university in the United States, Brigham Young University. 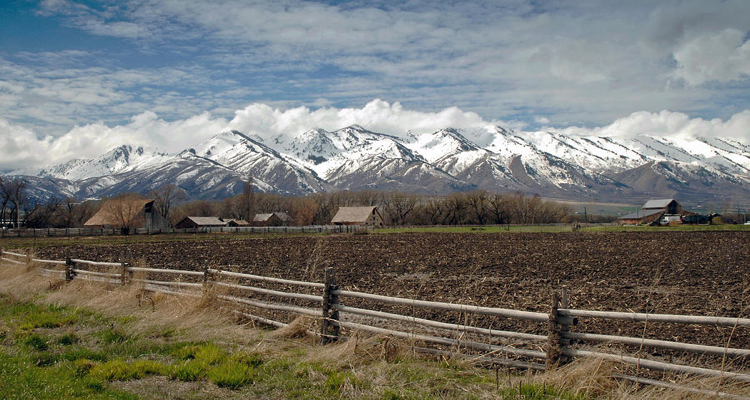 Located in Utah Valley, Provo is surrounded by classic southwestern rocky mountain peaks creating lovely scenery for the city. The mountains allow for many great outdoor activities including hiking and fishing. Most of the city’s population belong to the Church of Jesus Christ of Latter-Day Saints, given the university’s affiliation with the church and the presence of the church’s mission training center. The town is a friendly, family-oriented town with beautiful scenery and recreational activities perfect for settling down. The fourth largest city in the state of Montana is also the location for Montana State University. 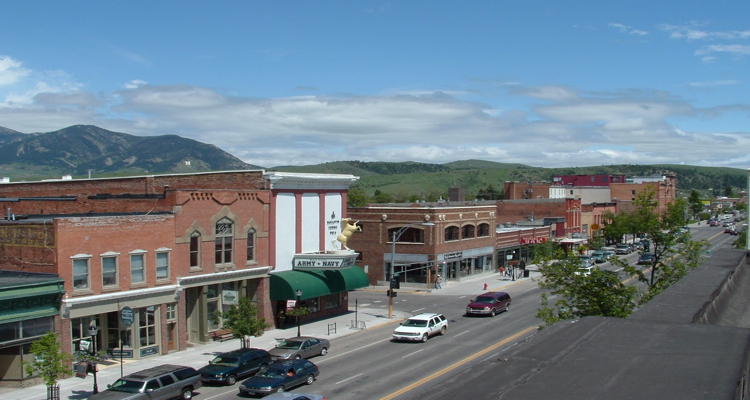 Bozeman, Montana was first founded by, and named after John M Bozeman in August of 1864. 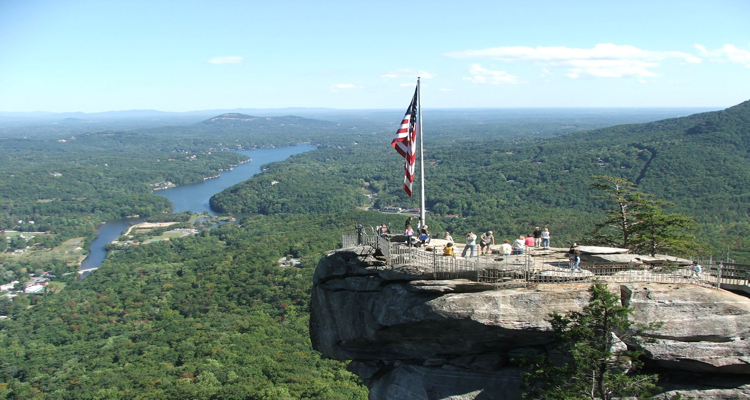 In 2001, The National Civic League named this nature rich college town as an All- American City. Aside from the educational values that grips this town, it is also the location for the popular site, Yellowstone National Park. Some of the other popular attractions in the area include its three Ski areas; Bridger Bowl Ski area, Big Sky resort and lastly, Moonlight Basin. As far as employment goes, there are plenty of places to get employed by. Such as, Gibson Guitar Corporation, RightNow Technologies, and much more. Oxford, Mississippi is home to the University of Mississippi, also known as “Ole Miss,” ranked in the Top 20 on Forbes Best Value Colleges List. Aside from offering a great college education, the city has deep history from the Civil War to the Civil Rights movement. Oxford is also home to famed author, William Faulkner. This great Southern city has many attractions aside from the university campus. Oxford boasts music venues, bookstores, specialty boutiques, and locally owned restaurants that don’t fail to impress, not to mention plenty of historic sites to visit. Many musicians like Gavin DeGraw and Elvis Costello have recorded studio albums in Oxford, making this city a destination city for music lovers as well. Lincoln, the capital city of Nebraska, is a nice, medium-sized college town home to the University of Nebraska. The city is in the middle of the Great Plains of the United States, giving it a pretty variable climate of four seasons. Known for its crisp, clean air free of pollution and its welcoming people, Lincoln is a great place to settle down as a family. The economy of Lincoln is quite stable and its industries and business opportunities are bountiful. 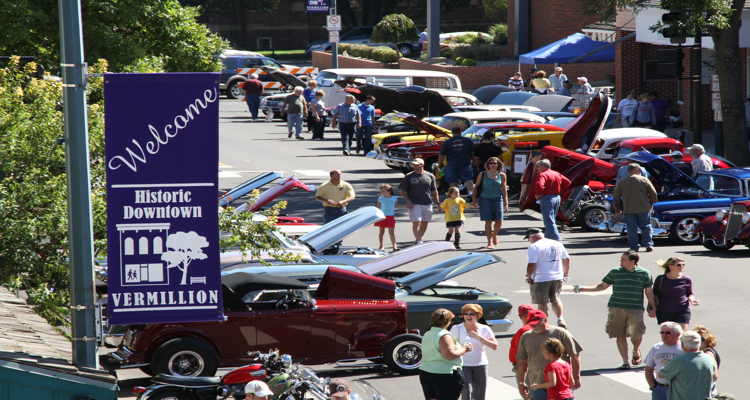 The town has multiple music venues and theatres as well as historic sites, museums, and parks. In fact, its park system has more than 100 parks full of trails and beautiful gardens. 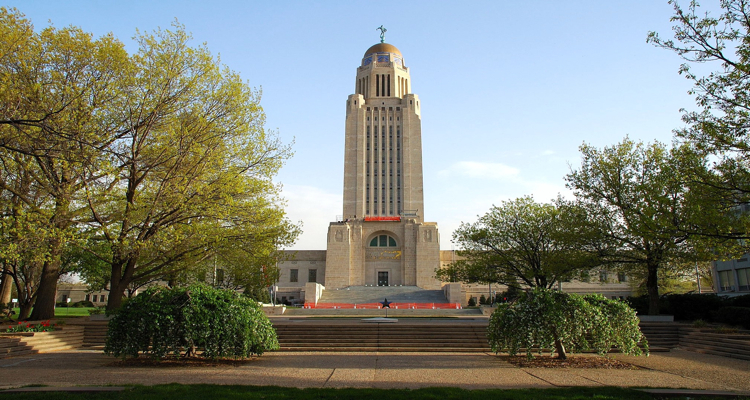 Lincoln has plenty of business opportunities, a great education system, outdoor recreational activities, and a thriving city life for all people to enjoy. Corvallis is a western US city in the state of Oregon. 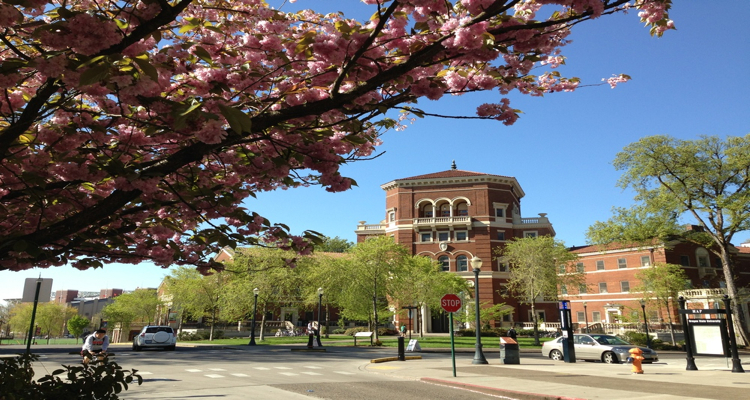 The town is home to Oregon State University and has a population of just above 50,000. Here, temperatures are generally mild with overcast weather, dry in summer and wet in winter. Most of the town’s inhabitants work at the university but many others are employed with other large companies like Hewlett-Packard. Corvallis is ranked as one of the best places to start a business and the third most educated city in the entire country. This city is located with a beautiful natural backdrop of pine forests and tall mountains, making it really a great place to live. With natural surrounding beauty, small-town charm and plenty of business opportunity, Corvallis is an ideal place to live. 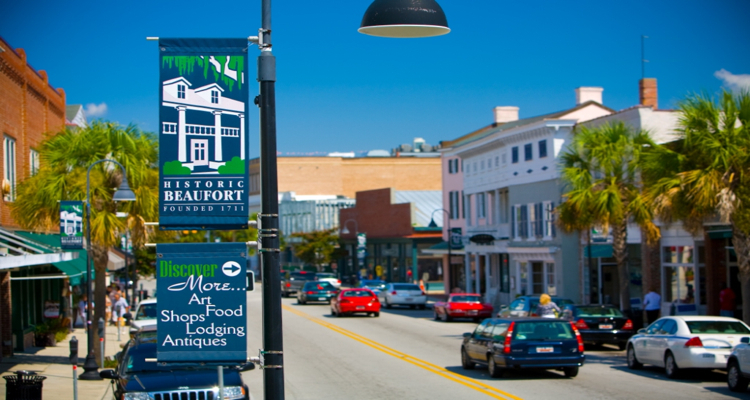 Beaufort is the quintessential southern town and the location of the University of South Carolina Beaufort. 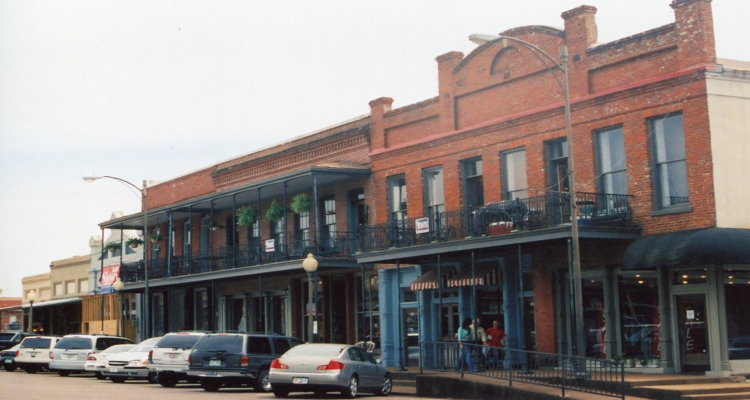 The city’s claim to fame is serving as the filming location for the iconic classic Forrest Gump. It is also located just few miles from Hilton Head Island. Beaufort also has an amazing arts and cultural scene. There is a strong military presence in the area with a Marine Corps recruitment depot, a Marine Corps air station, and a naval hospital. The University of South Carolina Beaufort is known for its beautiful and expansive campus. It also ranks among the top colleges in the south with superior programs in foreign language, liberal studies, and education. Malibu is a favorite among Hollywood movie stars as well as the students of Pepperdine University. 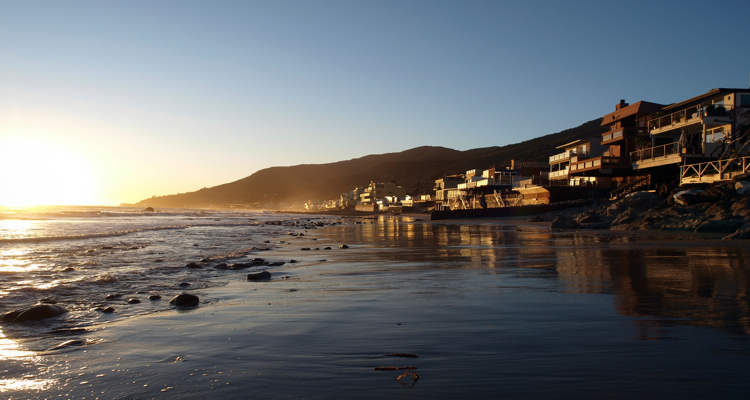 The beachside community of Malibu is famous for its “27 miles of scenic beauty” as proclaimed by signs in the area. In addition, Malibu is home to several state parks and arts alliances. The biggest employers in Malibu for college graduates are in the hospitality and tourism industry. Pepperdine University is a religious university that caters to the needs of Christian students. The school also maintains campuses at several locations in California and internationally. Pepperdine is highly ranked in business and law programs. Tempe is a city in Maricopa County, Arizona. This city was name after the Vale of Tempe in Greece. Tempe is also the home to the accredited university Arizona State University and the popular career school, University of Phoenix. Apart from the rich educational ties, Tempe also has some large fortune 500 companies based in this city. Such as, Go daddy, Insight Enterprises, First Solar, Circle K, LifeLock, and many more. This could be helpful to graduate students who might be looking for a career in business are marketing. 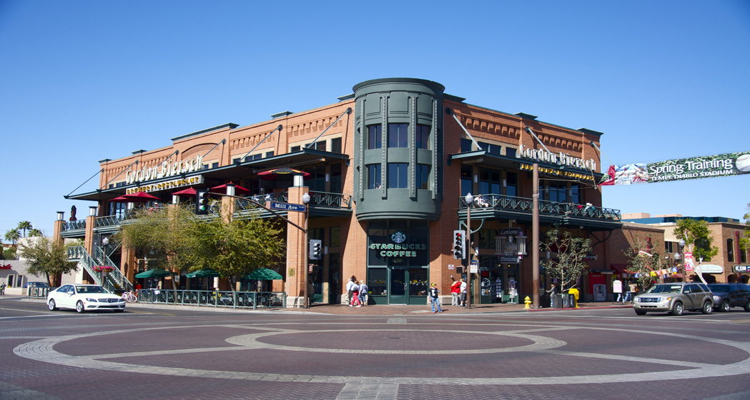 Tempe was also the headquarters for the first Cold Stone creamery and its very first location, which is still open to this very day. Located on the St. Joseph river on its southernmost bend, lies South Bend Indiana. This well-known city is the proprietor of the famous University of Notre Dame. 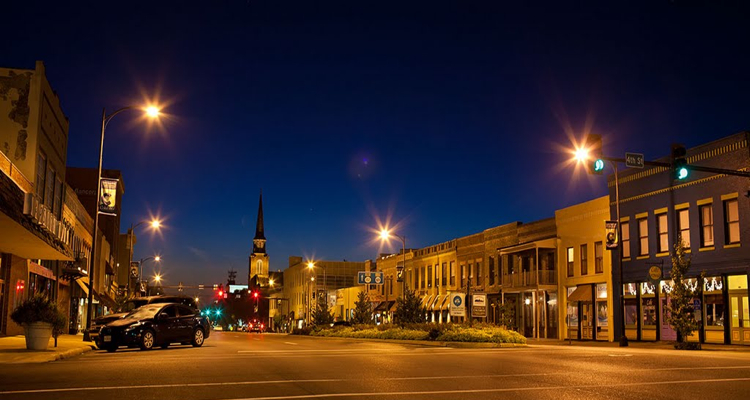 South Bend is the fourth largest city in the state of Indiana and it thrives as the biggest economic and cultural hotspot for all of Northern Indiana, mostly due to the University of Notre Dame and its superior medical system. Aside for medical and educational benefits, South Bend, Indiana has a rich business community. It is the headquarters for the trusted and well-known company; The Honeywell corporation. As well as, The Bosch Corporation. 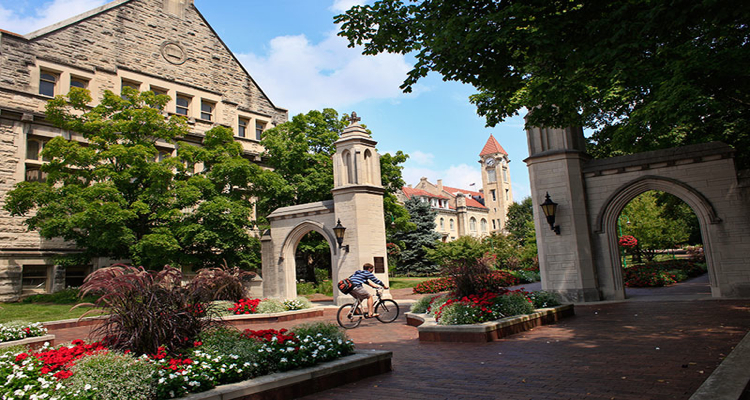 Known as the “gateway to scenic southern Indiana”, Bloomington, Indiana is a beautiful college town that encompasses the largest and original campus of Indiana University; University of Indiana Bloomington. This gorgeous campus building was built from local limestone that has been a part of this area for decades. For over the past 30 years, Bloomington has been a Tree City, USA according to the National Arbor Day Foundation. Some of the big employers in this area include the Wal-Mart Supercenter, General Electric, and Baxter Healthcare Pharmaceuticals. Bloomington was also the set location for the 1979 movie Breaking Away, which also ended up winning an Academy Award. Ames is a primarily agricultural town that houses one of the nation’s premier agricultural colleges, Iowa State University. The town is a center for the Unites States Department of Agriculture and also the headquarters for the Iowa Department of Transportation. Along with agricultural influence, the city also has a thriving arts culture with a few arts museums and libraries. The biggest employers in the area are the Iowa Department of Transportation and Mary Greely Medical Center. Iowa State University is famous for creating the first electronic digital computer. It is a top research university with labs for the U.S. Departments of Energy and Agriculture. Top programs at the school are in agricultural engineering and veterinary medicine. Positioned at a location along the border of the Hocking River, Athens, Ohio is a beautiful college town that is home to Ohio University. This historical town was named after Athens, Greece, which is primarily known as the Ancient center of learning. Due to the vast amount of trees and beautiful scenery, Athens had been marked as a Tree City, USA by the National Arbor Day Foundation. Athens is surrounded by hills and offers many trails for people to go hiking and enjoy the breathtaking scenery. The economy in Athens is mostly due to Ohio University and other events that are related to the University. Ohio University stands as the largest employer in the area. Located a little over 60 miles from Denver, the capital of Colorado, is a popular college town by the name of Fort Collins. 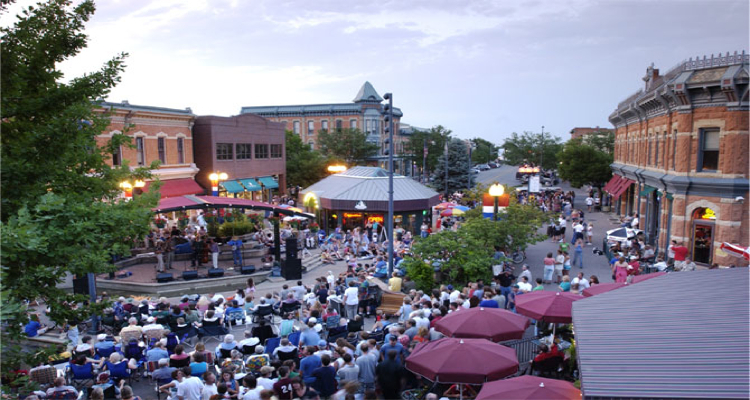 The town of Fort Collins, Colorado, has the fourth largest population in the state, behind Aurora, Colorado Springs, and of course Denver. Fort Collins has a history as being a military base starting in 1864. Now, it is the location for the well-known Colorado State University. In 2006, this thriving town was ranked as the best place to live. In 2008, it came in second place as the best place to live and then sixth place in 2010. Due to the benefits from Colorado State University, Fort Collins is home to a few big research facilities, such as the following: Hewlett Packard, Intel, AMD, and much more. As the sixth largest city in the state of Kansas, Lawrence is also the location for the University of Kansas and Haskell Indian Nations University. Lawrence is only 25 miles away of Topeka, Kansas as well as approximately 40 miles away from KAnsas City, Missouri. 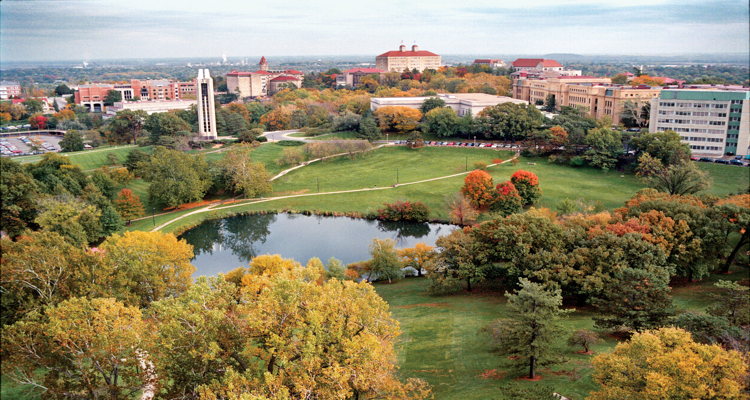 The bulk of the economic value to Lawrence comes from the University of Kansas. As well, as other major businesses such as, Hallmark cards and General Dynamics to name a couple. In a 2005 issue of The New York Time, Lawrence was dubbed the “most vital music scene between Chicago and Denver” In 2007, the Esquire Magazine listed a local bar, The Replay Lounge, as one of the top 25 bars and venues in the whole country. St. Augustine is the oldest city in Florida and is the home of Flagler College. The city is full of Spanish history with attractions such as the Castille de San Marco and the Spanish Military Hospital Museum. In addition, the city houses museums like the Old School House and the St. Augustine Pirate and Treasure Museum. The coastal city sits adjacent to Anastasia Island. Major employers in St. Augustine are Northrup Grumman government contractors and the St. Johns County School District in addition to the booming tourism careers including resorts, hotels and restaurants. Flagler College is a largely historical campus with students dorms located in the famous Ponce de Leon Hotel. Flagler was originally founded as a women’s college, but it began admitting men in the early 1970s. The college has a liberal arts base with notable programs in humanities, social sciences, communication, educations, and the arts.